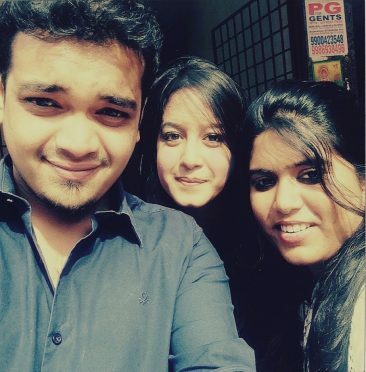 About the Author: Shagun Agarwal (girl in the middle), a student from Shri Ram College of Commerce, Delhi University, reminisces about her internship experience at OYO Rooms. It was my first time at an office and the bean bags were more than enough to give me an impression of how I had been inducted into the best start-up of the country. My reporting manager gave me an insight into the OYO world and introduced me to the Regional Head. It was a short meeting but it was made clear that I was being inducted to work and to make a difference. In less than a week’s time, I was given my first official email id. I also felt very fortunate to get my first set of visiting cards. It gave me the authority to meet people from the corporate world and to represent OYO. Later that week, I was asked to come up with different strategies to do justice to the title, ‘Demand Innovation.’ My reporting managers were open to all sorts of ideas and gave me time to work on the one that seemed suitable for the situation. I worked on an activity that had me visiting all the OYO properties for a week. It was an unorthodox but effective way to get a good gist of the functioning and goals of OYO. A week Later, we had a COE Training wherein the newly hired employees from all over South India had come. We got to interact with the management from Gurgaon. It was one of the most exhilarating conferences that I’d ever been a part of! Once I got an accurate understanding of the market, I examined our current situation and got on to partnering with wedding planners, event managers, convention centres, and banquet halls since January and February were the peak wedding months. This also gave me the opportunity to explore a lot about the sector. In the last week of January, the company came out with a structure to get a closer picture of all the micro markets. The main focus revolved around increasing the offline demand. In order to do this, our key objective was to identify sources of opportunity, assess all components to tie-up with various agents, and finally activate the on-board agents to be the SPOC (single point of contact) to fulfill accommodation requirements for them. I was given the liberty to conduct meetings for onboarding agents and corporates from entirely different sectors. Due to the micromarket structure, work got extremely competitive, motivating us to work harder. Towards the end, I got the permit to work on one of the few things I had proposed during my tenure. The internship trained me in marketing and gave me an insight into the HR field. Diving a bit deeper into how I achieved this objective, I first had to understand the process in its entirety by determining how it appreciated our demand and visibility as well as other potential benefits that could yield from having Ambassadors in the Delhi University. I then had to draft a proposal to market the idea to the professors, placement representatives, and students in the university. Finally, I also gave seminars in various departments to increase the number of applications. Of course, none of this was easy since it was the first of its kind initiative by the company. However, I assume it was a great start and it definitely made a huge difference in terms of my learning and exposure. I am beyond grateful to have had the opportunity to represent OYO in one of the top universities of the country. My first meeting, the first agent I signed the agreement with, the very first application I received for the Campus Ambassador Program – all these seminal moments will definitely be treasured for life. Another memory I’ll definitely treasure is the Christmas get-together at office. A pretty interactive session with lots of games and activities was organized by the HR. I got to witness the fun side of the company too. I remember leaving office that evening with a sense of belonging towards the company. Editor’s Note – Is marketing your calling in life, too? Find similar marketing internships for yourself.